GetUp! 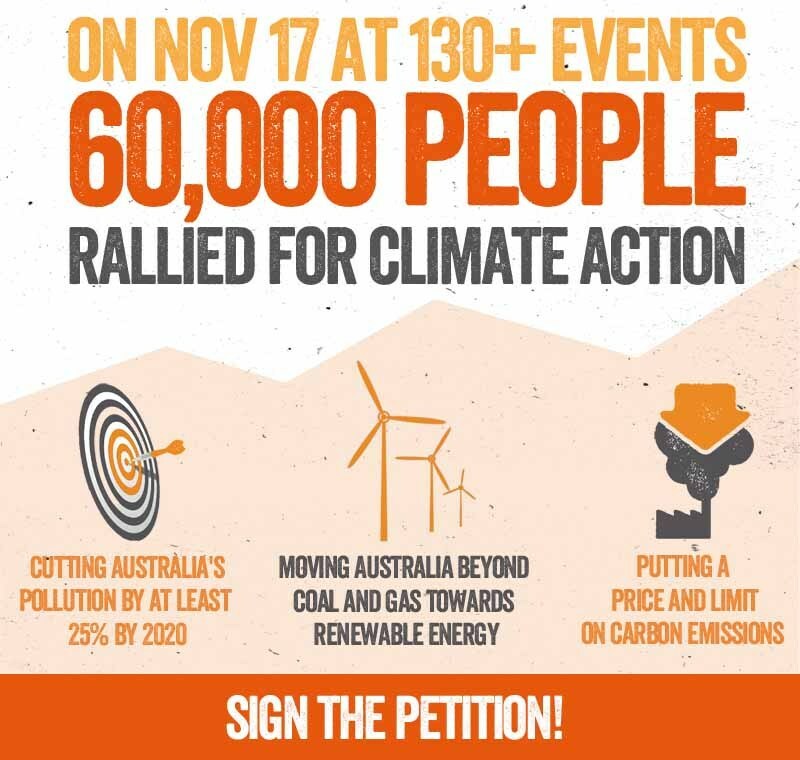 - Climate Action Petition! The science is now unequivocal, 97% of climate scientists say climate change is occurring and is human induced. Already Australia is feeling the impact, with 123 weather records broken last summer and the hottest 12 months on record. Australia is the highest per person carbon polluter among all developed countries, the 15th highest overall polluter and our emissions are still rising. Australia must continue to do its fair share to cut global carbon pollution and limit warming to below 2 degrees temperature rise. Our future health, wealth and environment depends on rising to the challenge now, before it's too late. It's time to move on from debate and start implementing appropriate solutions. We're a lucky country, with access to abundant solar, wind, geothermal and wave energy. We have a talented workforce and a healthy economy with all the skills, resources and knowledge required to lead the world in renewable energy. Polling clearly demonstrates that the majority of Australian voters – no matter what their political views are - want stronger action on climate change. We demand that our government respects the science and aims higher on climate. We're asking for strong, meaningful climate action, which is in the national and global interest.